We eat a lot of pesto in our house. Since my son can’t eat dairy, we find it adds a lot of flavor to our favorite dishes. We spread it on sandwiches, toss it with pasta, top soup with it or use it as a dip. Typically vegetable tops get thrown into the compost bin but most of them are perfectly edible, and I’d argue delectable. I’ve used carrot tops, garlic scapes, and now beet greens as the base for pesto. 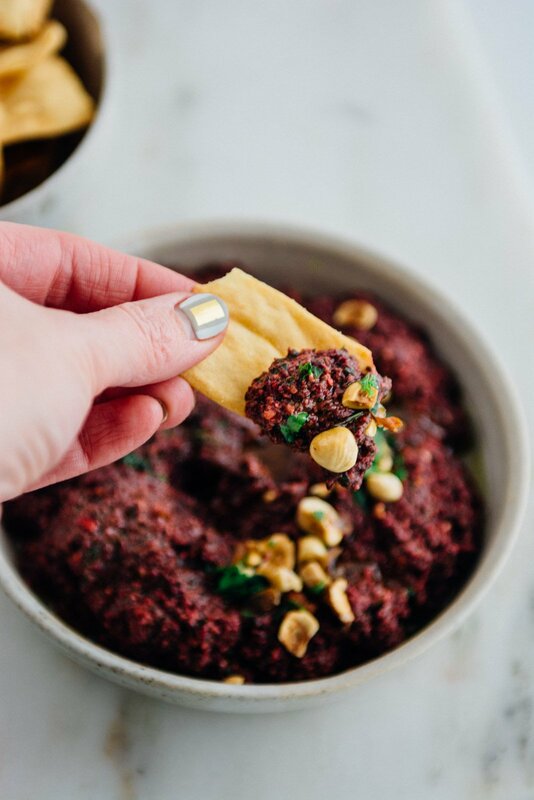 Admittedly the color of this beet top pesto can be a bit to get used to but it’s delicious. Purple is not a color you see a lot in food. 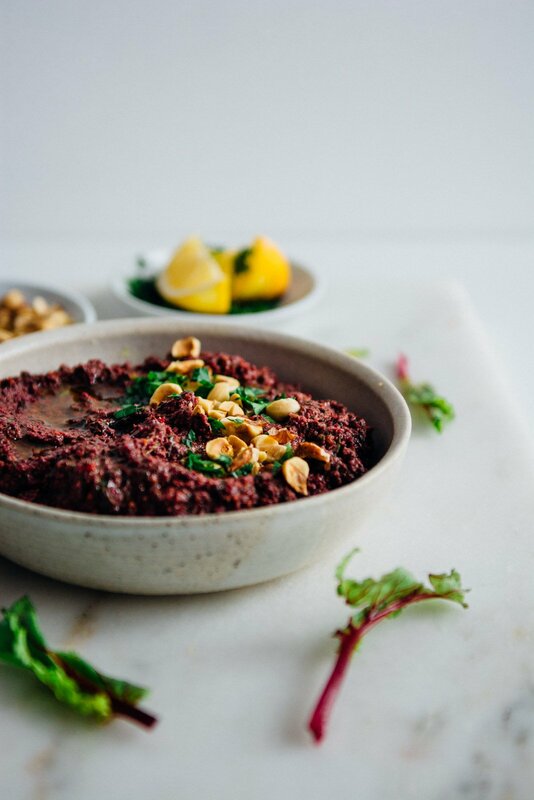 I used hazelnuts instead of pine nuts and added a bit of balsamic vinegar to complement the sweetness of the beets. 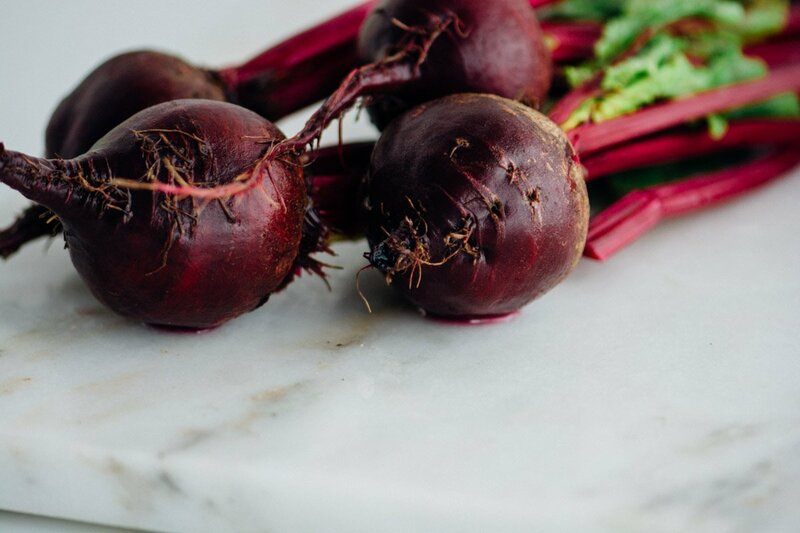 It took me a long time to appreciate the earthy flavor of beets. When I was a kid, my mom put me on a diet where I ate a can of tuna fish and a can of beets every day. It was disgusting, sad and embarrassing. Can you imagine opening your lunch pail and finding canned beets instead of a cookie? It wasn’t until I was in my 30’s that I gave beets another try. Now, they are one of my favorite vegetables; I eat them raw shaved into salads, layered into sandwiches and blended into smoothies. 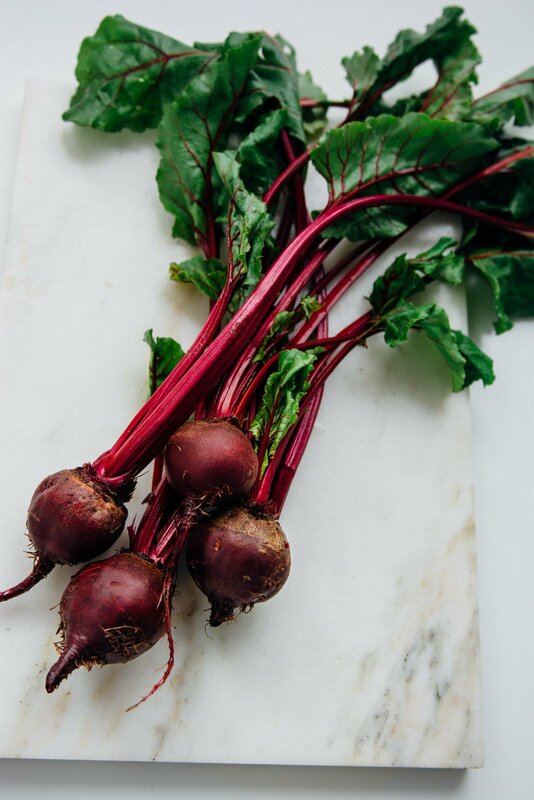 How do you feel about beets? Love em or hate em? 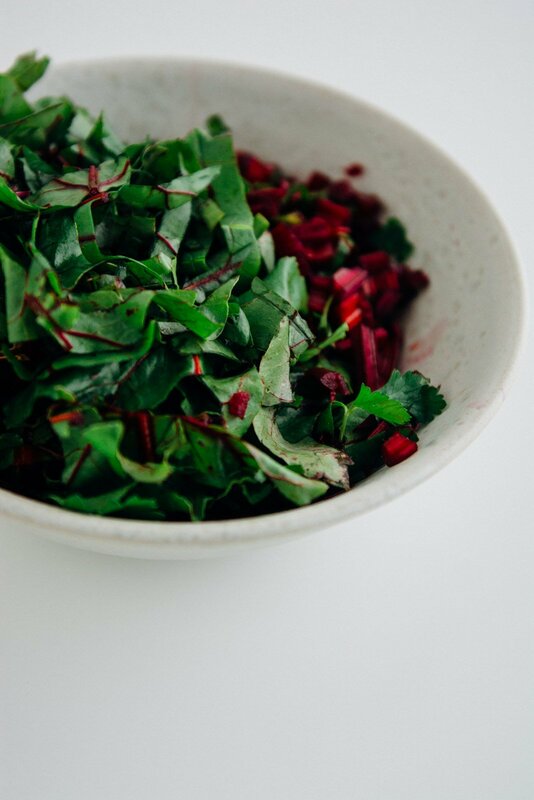 Don't throw away those beet tops! 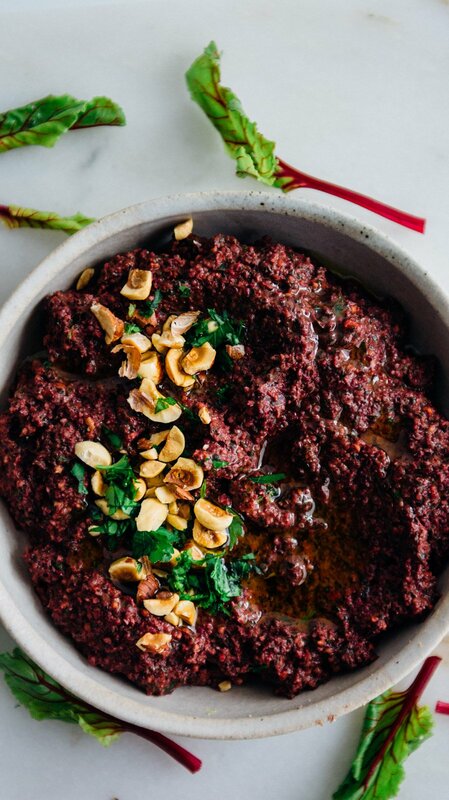 Combined with toasted hazelnuts, lemon and balsamic vinegar they make a delicious vegan variation on traditional pesto. 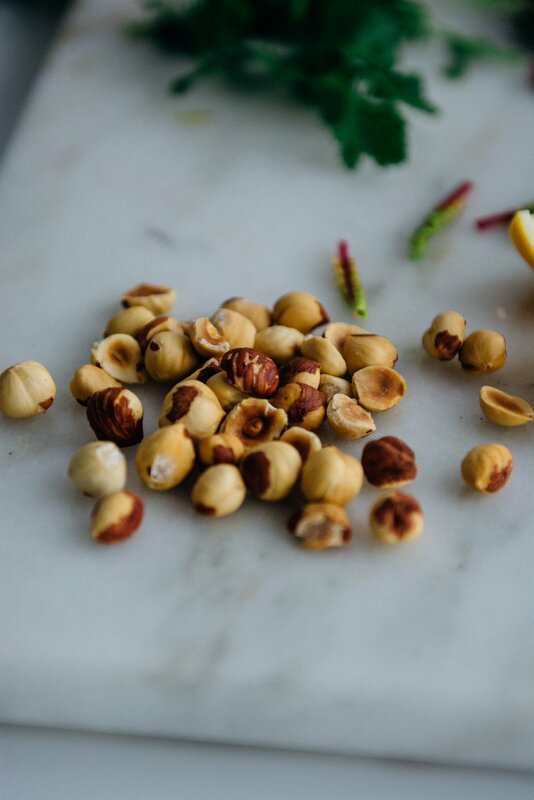 Place the hazelnuts and garlic into the bowl of a food processor and process until the nuts are a fine meal. 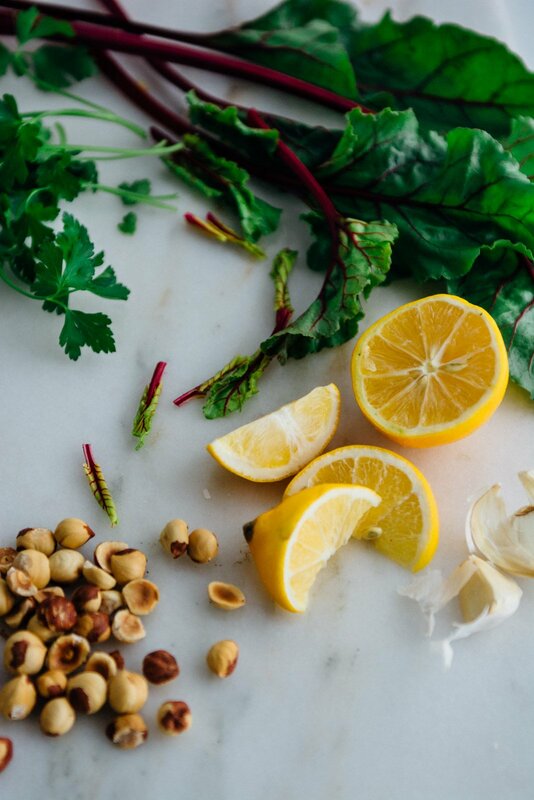 Add the beet tops, parsley, lemon zest, lemon juice, balsamic vinegar and olive oil and process until smooth. Season with salt and pepper to taste, add more lemon juice or balsamic if needed. 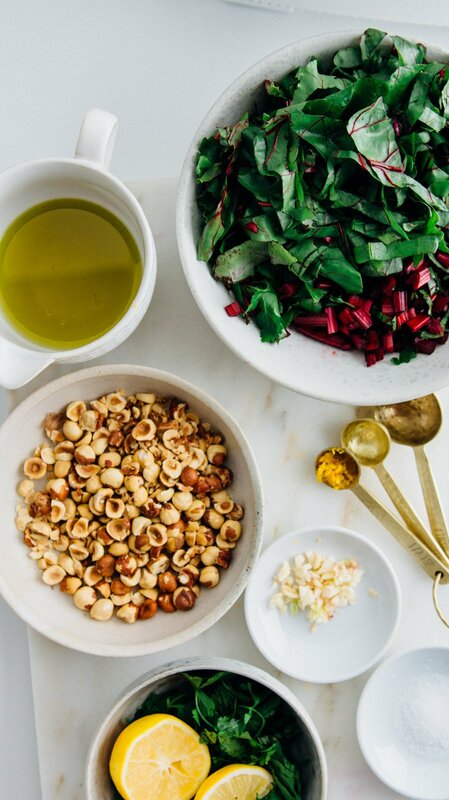 To serve top with a drizzle of olive oil, a few tablespoons of chopped hazelnuts and parsley.